False eyelashes are really a magic weapon for women to become perfect. Ordinary people sticking false eyelashes will be very different. When a girl with a small eye wears it, her eyes instantly double. But to wear fake eyelashes, you must resort to eyelash glue. Some girls had a stinging feeling when they wearing false eyelashes. After removing makeup at night, the eyelids be red 、swollen, and hurt. What is going on here? Some girls even dare not wear false eyelashes after this happens. In fact, this is caused by eyelash glue allergy, a small number of people will be allergic to eyelash glue, as long as the choice of Hypoallergenic glue will not have such problems. Innisfree has three types of glue: black, white or transparent, with no traces after wear eyelashes. Easy to remove makeup, strong adhesion, a customer use this glue to do the aerial flying and false eyelashes have not been blown off. Gentle formula, pure natural plant extract, does not hurt the skin, （ remove the makeup please do not use your hands, be sure to use a cotton swab, so that the makeup remover is thorough, does not hurt the eyelids). 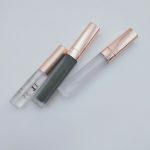 Eye skin is very delicate, you should be very cautious about choosing false eyelash glue, especially those who are allergic to the skin itself. It is best to choose anti-allergic eyelash glue, reducing the chance of allergies to false eyelashes.